Bankruptcy can seem like an overwhelming decision, but it doesn't have to be. With the right professionals on your side, bankruptcy can be a logical and beneficial process to get you back on track financially. At The Golden Law Group, you can receive representation from a leading consumer bankruptcy firm in Florida's Central Gulf Coast region. The firm offers full-service consumer debt relief for individuals and small businesses dealing with debt. The firm understands that bankruptcy is a difficult decision, and you may be overwhelmed at present. They streamline the bankruptcy process so that you will spend less time in court and can keep the legal fees to a minimum. Every client at The Golden Law Group receives one-on-one attention from a licensed attorney. They understand that your case is unique and that you need a personalized solution. Contact The Golden Law Group online or call (813) 699-4911 for a free consultation! bankruptcy concerns, such as: How do I know if I should file for bankruptcy? What does this mean for your case? Learn the benefit of having a true expert on side. Stop collection calls immediately. Contact the firm to learn what they can do for you. 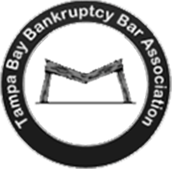 If you are considering bankruptcy, it is essential to hire a board-certified lawyer to help you. Lead Attorney G. Donald Golden of The Golden Law Group is board certified in consumer bankruptcy law by the American Board of Certification. 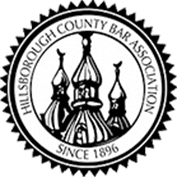 This accomplishment means that he is a trustworthy lawyer who has been recognized for his professionalism. Certification means that the attorneys at The Golden Law Group do not dabble in bankruptcy law; they are fully devoted to studying and bettering their skills in this field. You can trust that these lawyers have the understanding and experience necessary to handle a bankruptcy case. Mr. Golden also has experience as a former staff attorney for Chapter 13 trustee. Additionally, The Golden Law Group is accredited by the Better Business Bureau, which means that the firm has been investigated by this federal bureau and has been determined to be sound and reliable. The firm has convenient locations in Brandon & Bradenton. If you are interested in contacting the firm about your debt relief options, call the firm to schedule a no-obligation, no-cost consultation today! Get your FREE, confidential consultation and be on your way to financial freedom.